I have tried just about every grocery service that’s available in our area. Shopping online for groceries is a huge time saver. You don’t have to deal with the crowds, not even when its the day before a holiday. The kids won’t be trying to grab everything under the sun. And my favorite part, I can shop whenever and wherever I want. 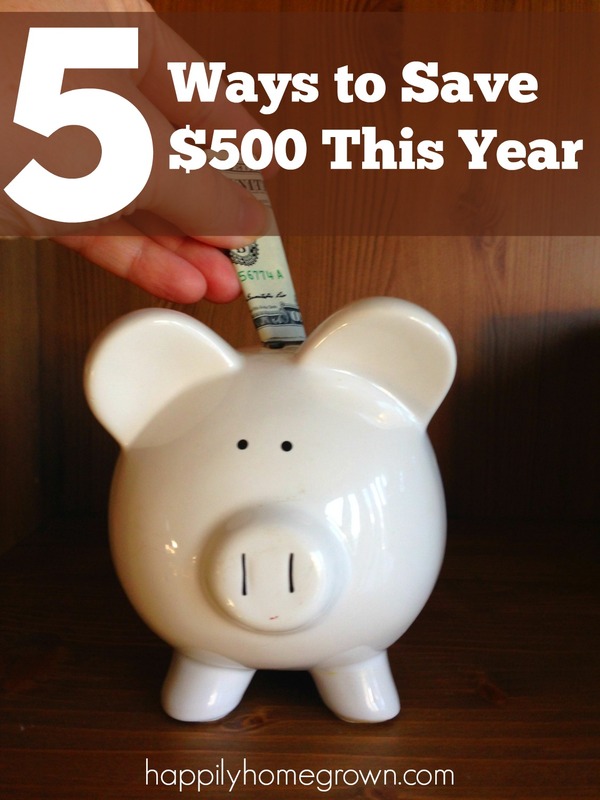 More importantly, grocery shopping online can save you a ton of money. You can price check easily and sort the items by price. Sale prices are clearly printed. And you reduce the number of impulse buys because you aren’t walking around the store. 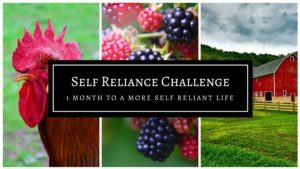 With so many grocery shopping options available in my area, where do I choose to shop? Believe it or not, Walmart! What is Walmart Grocery Service? 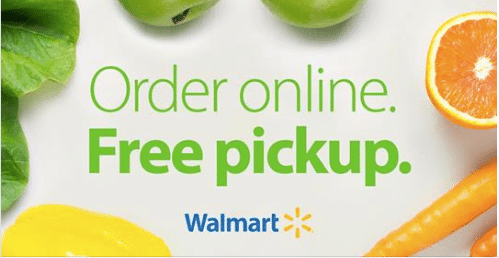 The Walmart Grocery Service is an online grocery shopping experience where you pick out your groceries online, select a pickup time, pay online, and then pick up your groceries without even getting out of the car. There is a minimum purchase of $35 which is significantly lower than most online grocery services making it perfect for when you only need a few items. Once your order is placed, you have until a few hours before pick-up to make adjustments. Then, when its time to pick up your order, just check in using the mobile app before you get on the road. They’ll track your progress to the store, and bring your groceries out as soon as you arrive. 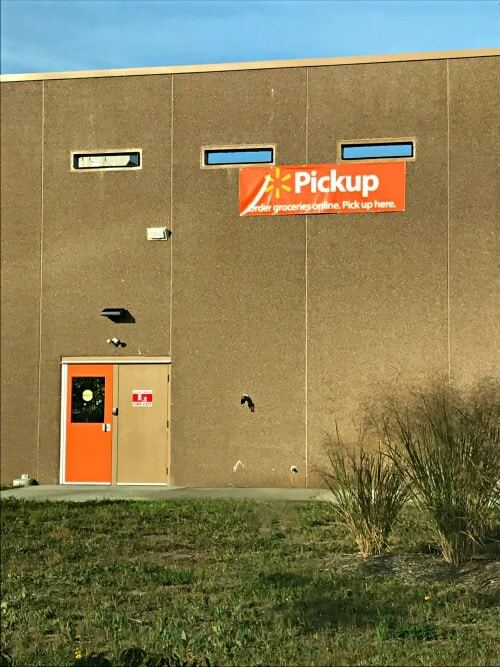 When you pull into Walmart, look for the orange grocery pick-up signs to direct you to the right place. What is the fee for Walmart Grocery pickup? Ok, now here is the best part about the Walmart Grocery service. THERE IS NO FEE! You heard me, no fee! You pay for your groceries and sales tax and that’s it. No hidden fees. No shopping fee. Nada. To my surprise, you’re also not allowed to tip your personal shopper when they load your car. The only cost is the cost of your groceries. How do Walmart’s grocery prices compare? Like most things at Walmart, their prices tend to be lower than most area retailers. I have found that my local Walmart even beats out Aldi’s prices for things like flour, sugar, oil, canned fruits, and cereal. Walmart also has pet supplies like cat food and litter for lower prices than any other retailer in our area or online. You can also purchase some non-grocery items through the Walmart Grocery Service. Items like canning jars and lids, charcoal, and even small housewares are all available through the grocery service for pick-up. If an item is out of stock, then it gets deducted from your total. If there is a similar product available, your personal shopper will offer you that item as they load your car. You can decide to keep the item or turn it down. If you don’t want the item, it gets removed from your total. In fact, if you aren’t happy with the quality of an item or if the wrong item was accidentally pulled, just let your personal shopper know as they are loading the car and the item comes off your total. If you don’t catch an error until you get home, still no problem. There is a phone number on the receipt that is emailed to you. Just call that number and the customer service team will do what they can to remedy the situation. I did have an issue recently where my personal shopper pulled multiple items that were incorrect. I told her as she was loading the groceries into my car, and each item was removed from my total. When I received the link to the survey, I answered it honestly and mentioned that there were issues with my order and the customer service rep called me later that same day to find out what they could do to make the situation right. I love Walmart’s Grocery Pick-Up Service and plan to continue using it one to two times each month. 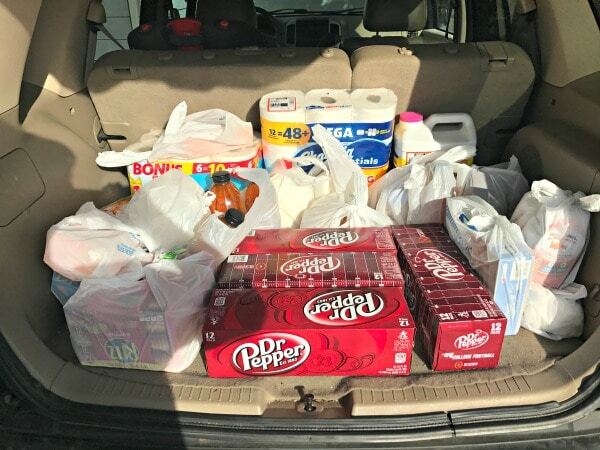 Typically we do a large stock up trip at the start of the month for any cleaning supplies, paper products, pet care items, and our first round of groceries. With more than 20 Walmart grocery pickups under our belt, we’ve only had 1 issue a few weeks ago, and even with that, all items were caught while the car was being loaded. I love that I can grocery shop at 1am, and then pick up those groceries around noon. And I love that I don’t have to drag my kids through the store for my big restock trip of the month (otherwise I’d be that crazy lady with two shopping carts, 3 kids, and the list a mile long wandering around the store with that glazed over look trying to avoid the million things the kids want and not making eye contact with anyone I may know). When we have purchased fresh meats and produce, I have always been happy with the quality of the items. When we buy frozens, those items are still frozen when loaded into my car. 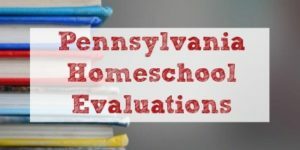 No cartons of ice cream soup or dairy products that are the wrong temperature, even when we have shopped in the 100+ degree days in July and August. Things are always bagged appropriately, and we’ve never had to deal with leaks, breakage, or squished items in our orders. 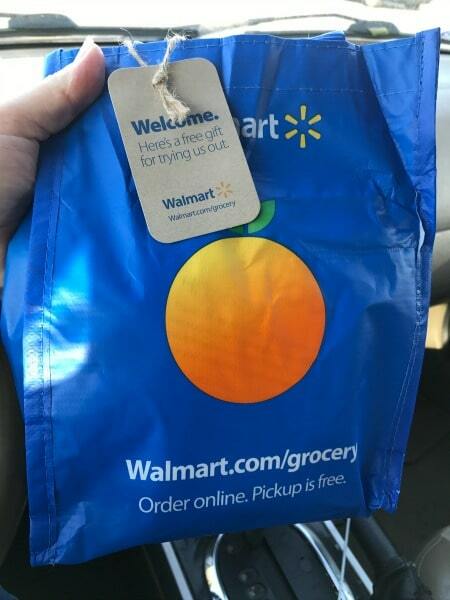 I plan to continue using Walmart’s grocery service and am so thankful that I can now save time and money when grocery shopping for our busy family. 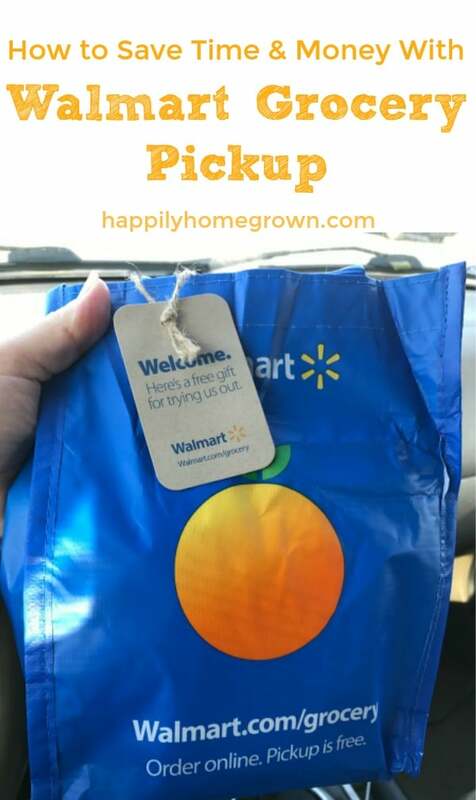 Want to save $10 on your first order with Walmart Grocery Service? 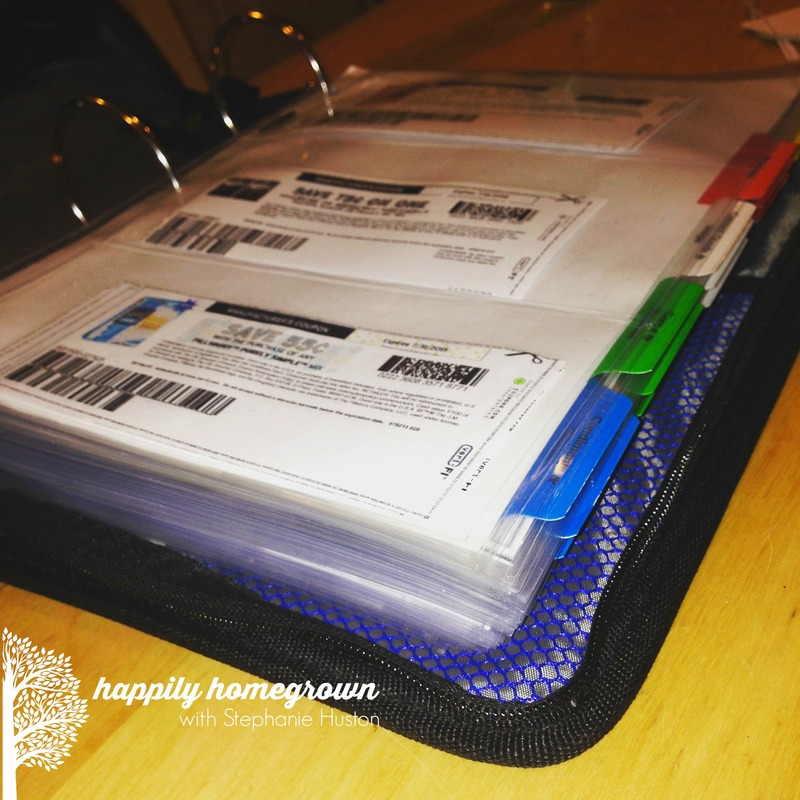 Walmart Grocery Pickup is seriously a life-changer! 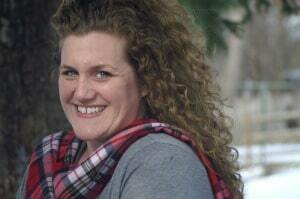 You order fresh groceries, Walmart does the shopping and loads your car for FREE. How easy is that? Here’s $10 to try it out on your first order of $50 or more. Thanks for sharing. I have been eyeing the Pick Up signs on the way out of Wal Mart and longingly wondering if it was worth it. I’m glad to hear how it works from someone who has used it.